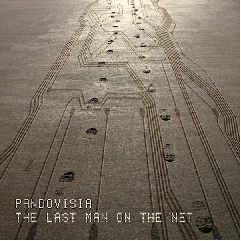 Tech duo Pandovisia are looking to change the music world with their pioneering new album ‘The Last Man On The Net’. The band have been dubbed ‘net artists’, because their entire album was ‘conceived, written, composed, performed and produced entirely over the net, in virtual studios, using cloud services and asynchronous communication’. Bearing this mind, ‘The Last Man On The Net’ is a highly impressive piece of work redefining how music is made and definitely worth a listen! The album plays on a geeky tech image combined with a healthy amount of tongue in cheek humour. The serious side to the album is highlighting the global sphere that we all live in whether we fight against it or love it. As everyone’s online presence is increasing it seems the natural progression that music is now reflecting this as well.